Life after winning the world championship! Today was a turning point in my family's life. No sooner had double top gone in I had an interview on stage for BBC with Rob Walker, then straight up to the BT Sport interview with Ray Stubbs and Ted Hankey. BT Sports other interviewer Helen Skeleton had also interviewed Sharon, Katie and Sam whilst I was on BBC. I came down from the balcony to be rushed by the BDO pr lady into the press room where approx 15 reporters were waiting for me. 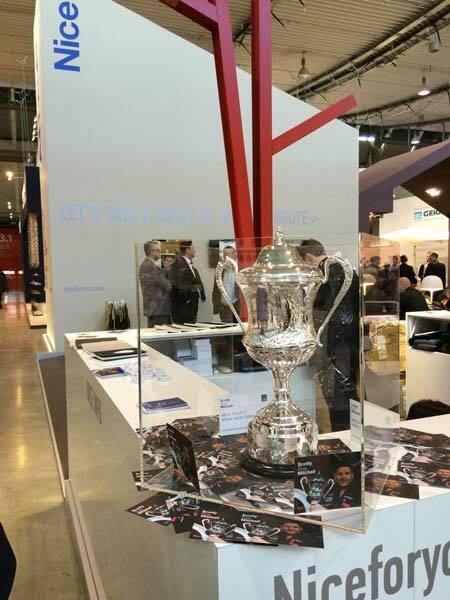 Then from there it was straight into the champions meal without time to change as everyone was waiting to eat and do the presentations, speeches and more press photos were taken. All happened so fast and I hadn't been champ for two hours. We returned to the hotel bar with friends and family to wind down and try and speak to them before they had to leave. Received a call from Wayne at shownights to book me for a big exhibition at the O2 in London for two weeks time! After a few cups of coffee, Sharon and I retired to our room but sleep didn't come quickly. The first call for a radio interview came at 7am, with about 10 calls in all, but however hard they tried Vasso Alexander and Chris Evans just couldn't get through! Finally got for breakfast at about 10am. I received a call from the Sun / Star and Daily Mail papers wanting photos of dad and I at the farm with the old tractor so headed back there as fast as we could. Whilst there I had a call from South Today then Meridian wanting me on their evening shows, so back in the car with Shaz driving as my phone was still red hot. Headed to Meridian first for a pre-recorded segment with Fred Dinage which was great, then onto South Today for their live show after a quick rehearsal! Left South Today to drive to my home venue for a Monday night league game at West Moors Social Club knowing that they wouldn't play me as I had missed the Monday the week before because of being at Lakeside! Lol. The lads stopped the match when we walked in for pics with the trophy and they also presented me with a picture / plaque to go on the wall of the club! Was very honoured by this. On the way to pick up our dog from Shaz's mum we finally had a change to celebrate in our usual way! Yep we went to McDonalds!! So that was my first 24 hours as world champion. Over the next week the interviews came thick and fast, local radio and local papers and magazines of all sorts, I even had to go back to radio solent to be interviewed by a radio station from LA which was broadcast over Hollywood and surrounding areas! I had lots of meetings with accountant, Simon Hall from Red Dragon came to see me at home, and lots of friend popping in to see us. 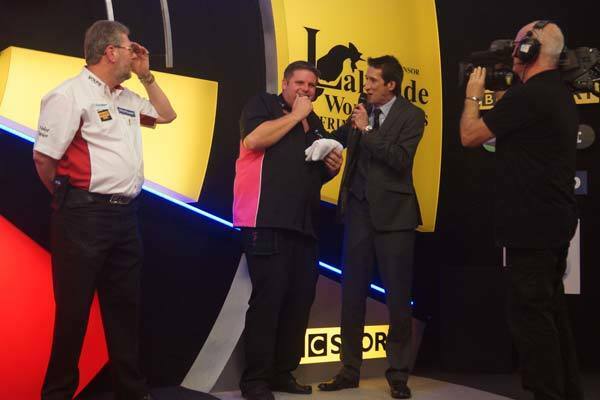 Trust Darts Corporation was formed with Gary Anderson and myself playing the first ever game of trust darts on TalkSport radio with Colin Murray. 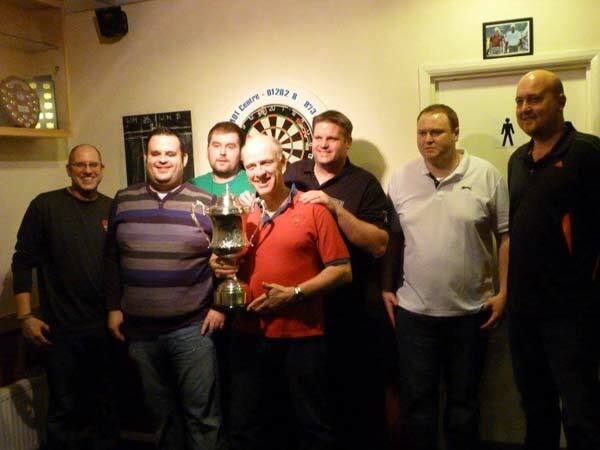 I beat Gary, but such was the phenomenal response that a trust darts tournament was formed. Great fun! 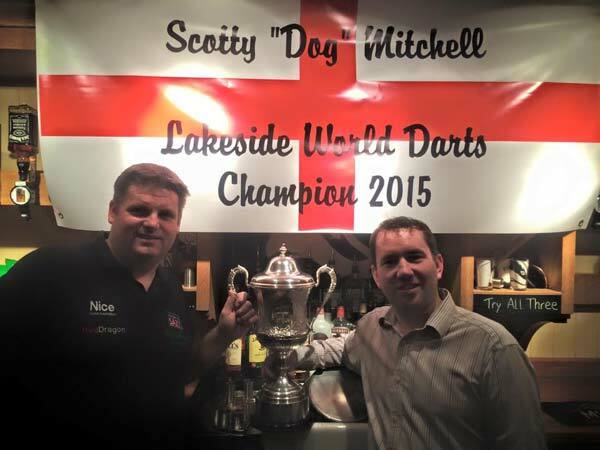 On Friday evening I had a "homecoming" to my local pub where darts started for me the New Queen at Avon! 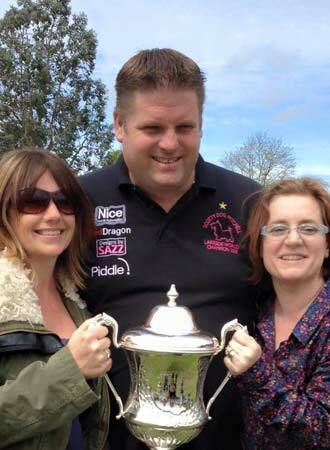 Nearly 300 people turned out to see me and have pics with the trophy, was very honoured to have Trina Gulliver MBE and her wife Sue with us as well. It was a night I will never forget!! Saw me take the trophy to my first county game since winning, it was against Somerset and I won with a 30 avg too which was a bonus. More interviews in the week that followed and first calls/emails from Radio 4 Farming Today programme and Countryfile. A call up from EDO for the six nations team in Belfast. 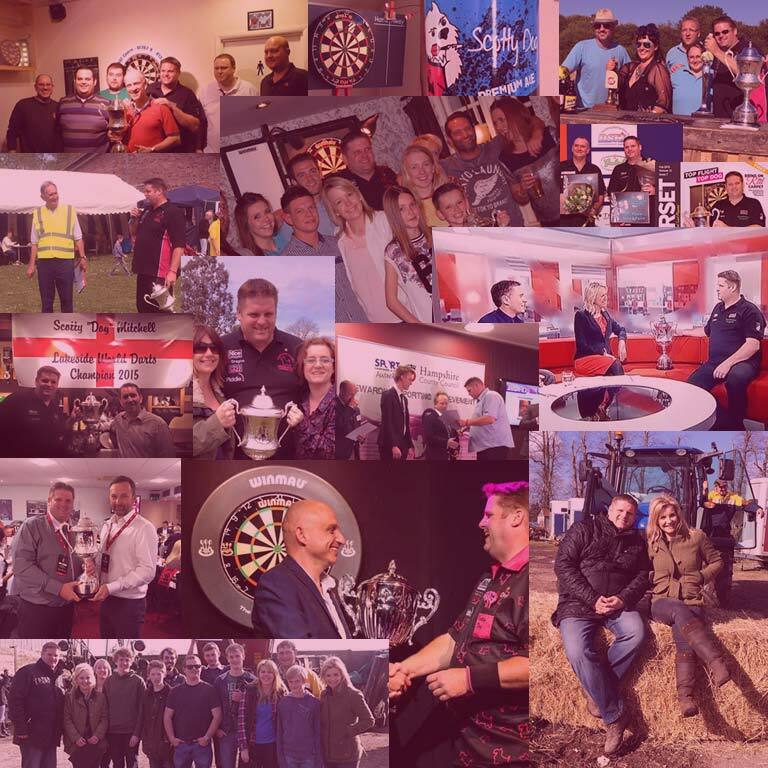 Also did a couple of Q&A sessions on various sites with BDO fanatics being one of the busiest! Had 2nd contact email from C&O Tractors about a tractor for dad. Indigo at the O2 arena, my first exhibition since being world champ, Eric Bristow MBE met me with a handshake and the words welcome to our club! Great night of darts followed by a Frankie Vallie tribute act. The trophy was with me with a glued on handle following a accident with it rolling of the back seat of my car after having to make an emergency stop in my little village as I was on the way to a youth footie game to show the boys. Had a meeting with 2 guys that own and run the Piddle Brewery in Dorset. They suggested to me that they wanted to bring out a beer in my honour with my dog logo on the bottles, well I wasn't going to say no was I! 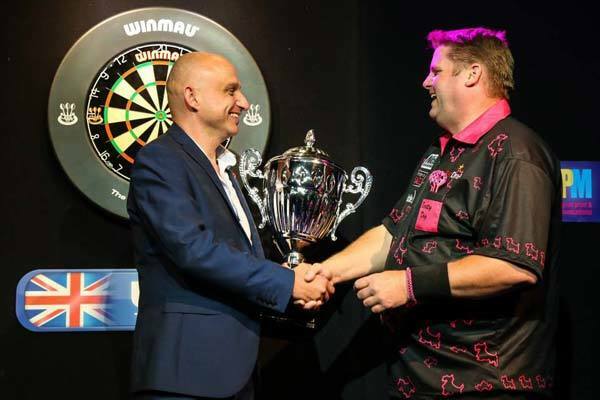 Headed to Assen in Holland for the Dutch Open, on Friday I played Lisa Ashton in trust darts over the phone on radio with about 40 dart players watching that were staying in the same house complex! Hit first 180 in trust darts with lots of witnesses! Martin Atkins and I played well in the mens pairs winning at about 10pm in the evening, giving me back to back wins as I won last year with Richie George. Only two other players have ever done this, Barney and Co Stompe! So really chuffed with that. Got home from the Dutch Open and it was back to the day job. Dug out two ditches by hand for the local parish council for drainage reasons. Had another meeting re tractor for dad, split some logs for dad as his wood shed was empty, bought a couple of more calves for the farm. Then off to county match away to Staffordshire. A trip to the bright lights of Piccadilly Circus for the Comic Relief publicity launch of Let's Play Darts. By invitation of Jeff Mostyn, chairman of AFC Bournemouth saw Sharon and I attending the Bournemouth v Derby match. 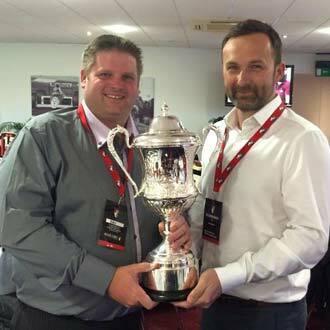 Had a fab meal in the boardroom and took the trophy out onto the pitch in half time and was interviewed. Met a few of my sporting heroes in Mark Pugh, Steve Fletcher and James Beattie. Trip to the BIC to watch the Premier League Darts courtesy of Peter Manley. The Scottish Open was a sad time as Sharon's nan died on the Saturday, one of the many times where you wish you could just be at home for the family. Visited C&O Tractors dealership in Blandford and completed the deal re the tractor. 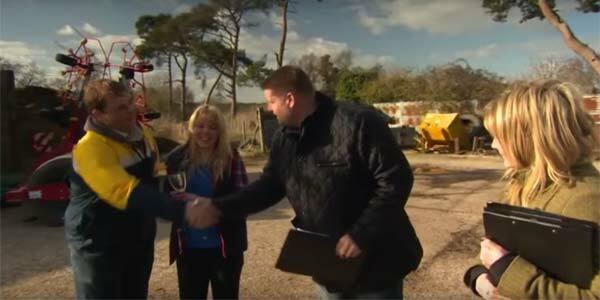 Invite to Poole Speedway by Sky presenter Nigel Pearson and Kelvin Tatum as a guest at their talk show. Flew with Sharon to Belfast to play for England in the Six Nations cup, which England won 13-12 in the final against Holland. First meeting with Countryfile people who came to scope the farm out and what they would do. 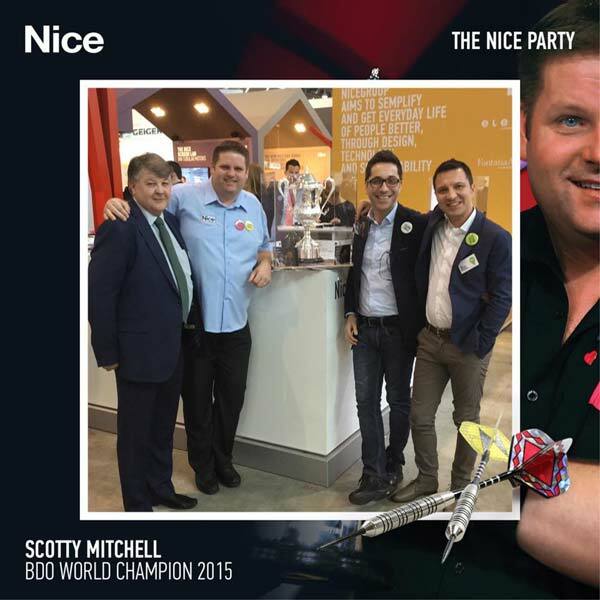 Flew to Stuttgart Germany to appear on the Nice trade show stand for my sponsor NICE UK thanks to Ian Alderson. 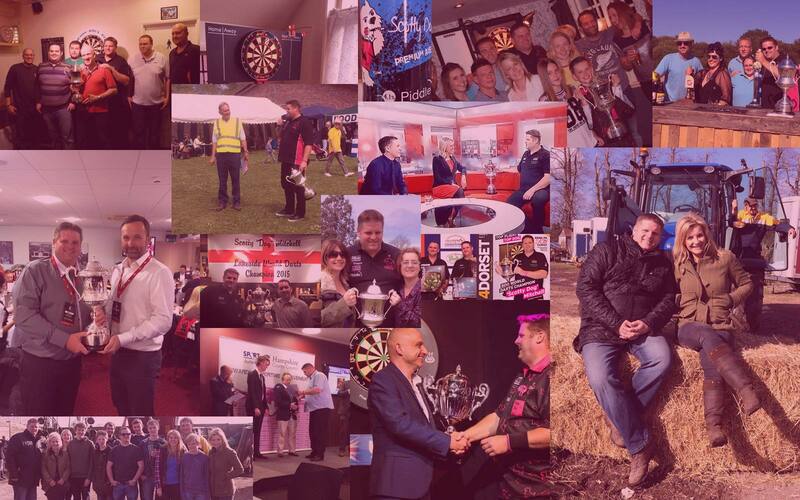 They had made a fantastic glass box for the trophy to go in and had lots of pictures taken, also I presented Lorro Borro the company owner with a boxed set of my darts. Landed back at Heathrow where Sharon picked me up then we drove to Manchester ready for the world trophy event. I beat Canadian David Cameron in the first round, but lost 7-2 to Wayne Warren, I missed chances but thats the game. Countryfile filming day!! 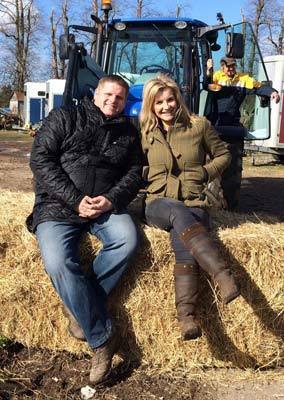 Had a fab day with seeing Helen Skelton again and the delivery of the tractor for dad, also Avon Valley Young Farmers were able to participate in the filming. 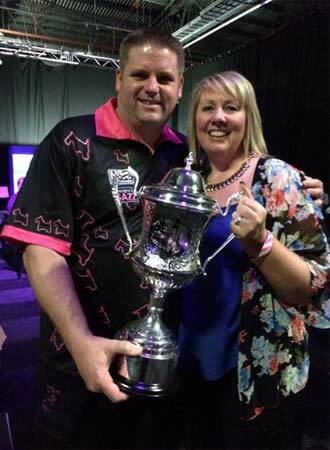 Flew to Isle of Man, lost in last 16 of Masters comp and last 8 to Adams after he shot a 156 out to win. 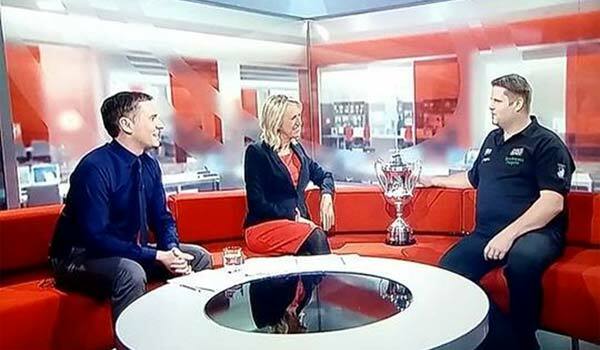 Interview for the Sun and Goals on Sunday about what its like to be an AFC Bournemouth supporter. Another meeting with Piddle Brewery. 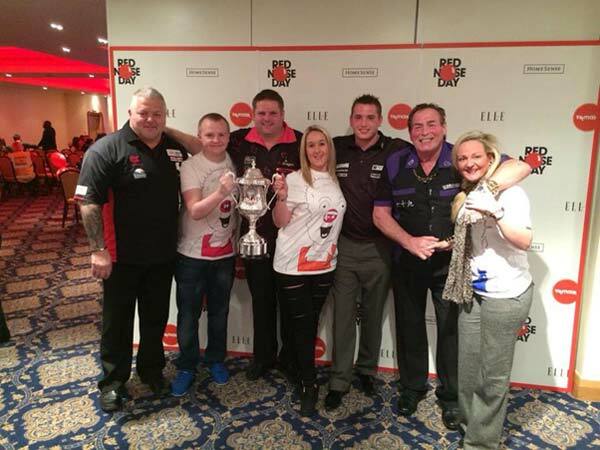 Went to Watford for the TK Max staff from across the country for a Comic Relief fund raiser with Richie and Bobby George and Darryl Fitton. Interview and pictures at the farm for Sporting Gun magazine with the tractor and our dog Jazz, new accountant Sophie came to see us at home. Poole Speedway press day, had an invite from owners to meet new riders for this season, also was interviewed as one of their top supporters. An evening at C&O tractors for their open evening including one of my old vintage tractors that I had traded in. Helped my sister in law and brother in law with the big house move! To the house next door to were they used to live! Great fun and time with the family. 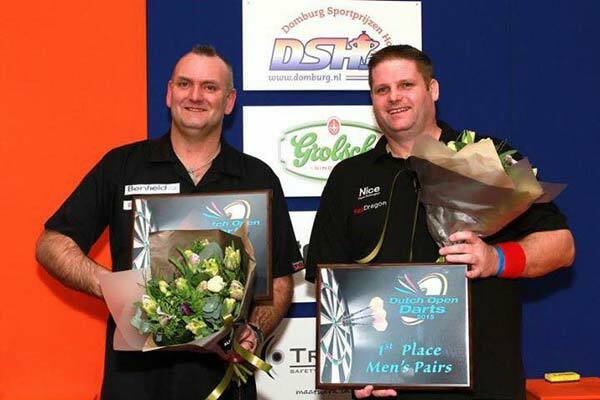 Flew to Venray with Sharon, for the Hal Open in Holland where I lost in the last 8 to Richard Janssen the eventual winner, then in the second singles comp on Sunday I lost last 16 to Darius Labanauskas. Got home on Monday to a frantic call from our son Sam who had hit himself in the face with a hammer whilist at work so breaking his glasses! So off to the opticians. The day I was officially named as England captain for the home internationals! 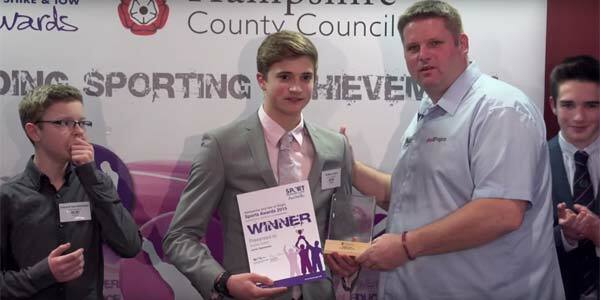 Hampshire and Isle of Wight sports awards at St. Mary's stadium Southampton, presented awards with Claire Purdy, womens rugby world cup champion. Diabetic eye test in the morning, gotta be done but not nice. Also a charity exhibition for Diverse Abilities at Parley Sports which raised 2k. Trust darts semi-final against Keegan Brown. I won. Exhibition at Devizes Inn, Salisbury. Off to Weston-super-Mare for Sue Gulliver's 50th birthday meal. County at home to Devon, I won 4-0 with another 30 avg. A meeting with Jason Thame and George Noble from Modus. 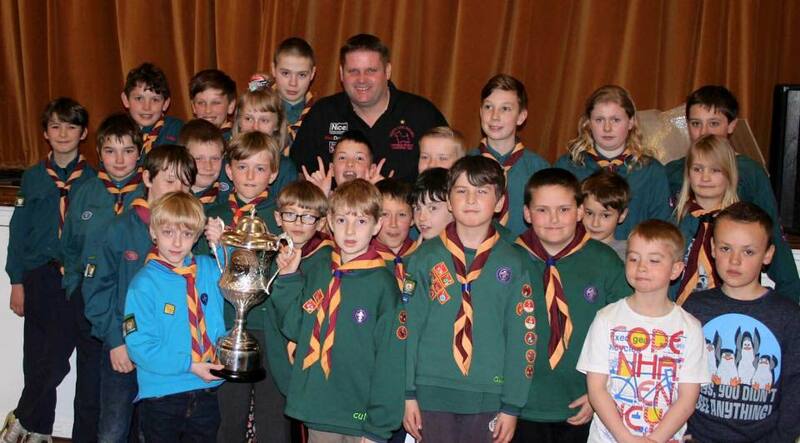 Attended Alderholt scouts, had a fun evening with all scouts having a throw and pictures with the trophy. A very sad day, we said goodbye to our good friend and BDO stalwart Dave Vincent. He will be greatly missed. He has meant alot to my family and I through the years. Home Internationals in Merthyr Tydfil. My first as England captain. 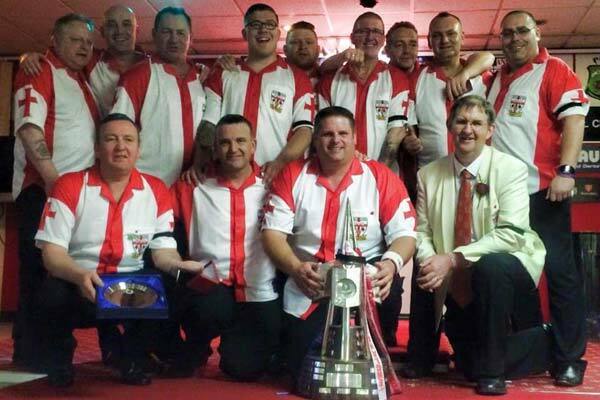 England men won narrowly by just 4 legs on countback. 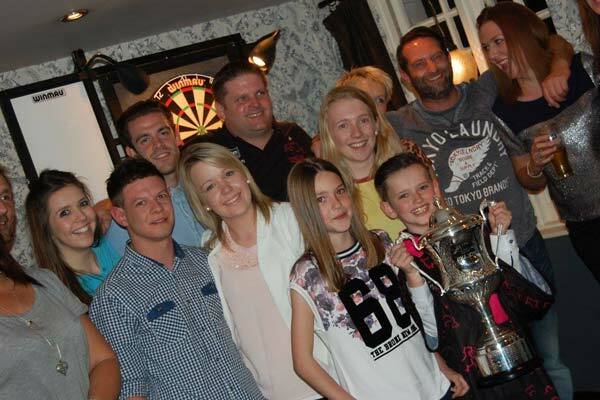 Charity night at the Horns Inn, Parley for Julia's House, also in attendance was PDC walk on girl Katie Elizabeth, we raised 2k. Fantastic night. Piddle brewery went live with the beer launch! A rare weekend off and Sharon's birthday, so we spent the day together... logging!! Ready for the winter. Filmed a video message to be sent to National Federation Young Farmers clubs for the AGM darts tournament. 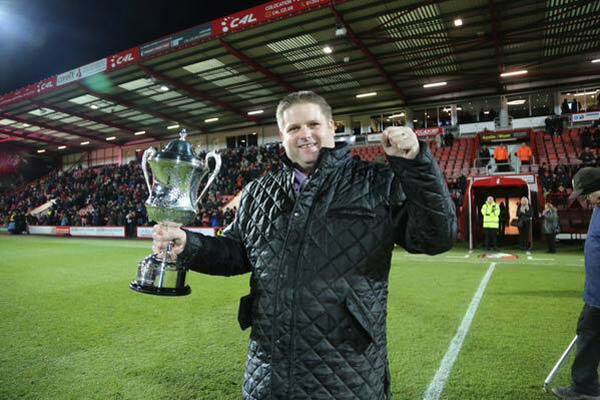 Was honoured to be invited again to AFC Bournemouth for the last game of the season by Steve Butler. A fab night with afcb winning and going up to the Premier League! Also met Darren Anderton, Jimmy Glass and Paul Morel. Shaz came and got me at 1 am. A cattle dealer came to the farm to look at the first lot of seven that are ready to be sold on. All four of us went to Tim Vine's show in Bournemouth. 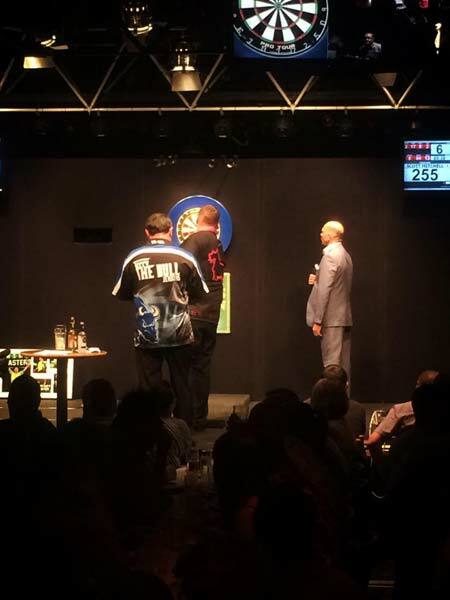 He got me up on stage to play a leg of darts against him. Katie was the ref on the mike and Sam was the chalker! A fun night. Time for my yearly diabetic mot. All levels had risen abit! Wonder why?? Trust darts final against Gary Anderson. 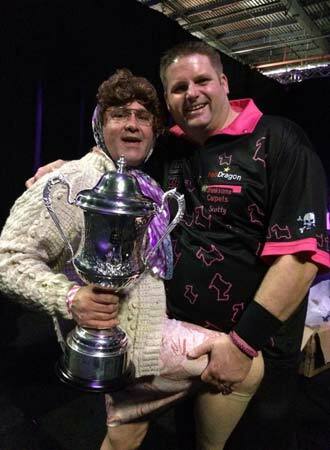 I was sat on bull after 12 darts when he hit double 7 to become the first trust darts champion. Drove to Manchester for a Shownight's exhibition at Manchester Academy. 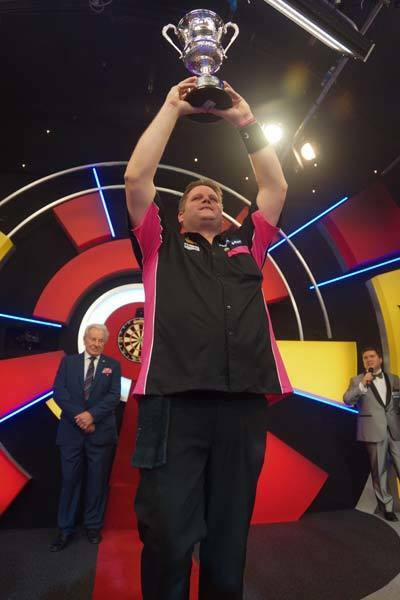 I won the event beating Eric Bristow, Bob Anderson and Wolfie in the final. 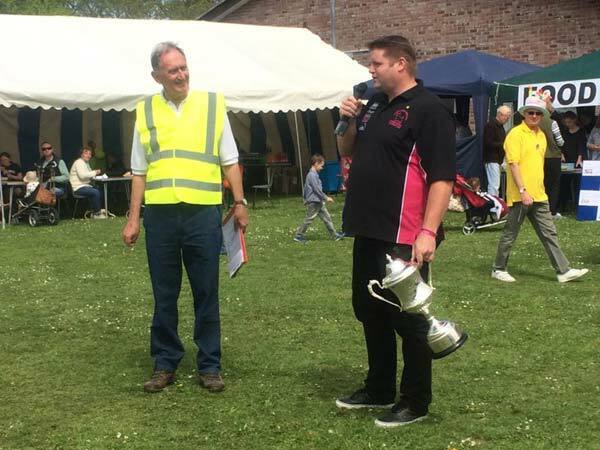 Met another cattle dealer at the farm, then I opened the local Bransgore Fun Day at 1pm, took the trophy along for photos and even had a ferret in it! Bridport League presentation at Freshwater caravan park. Played 8 players on the night from the league. 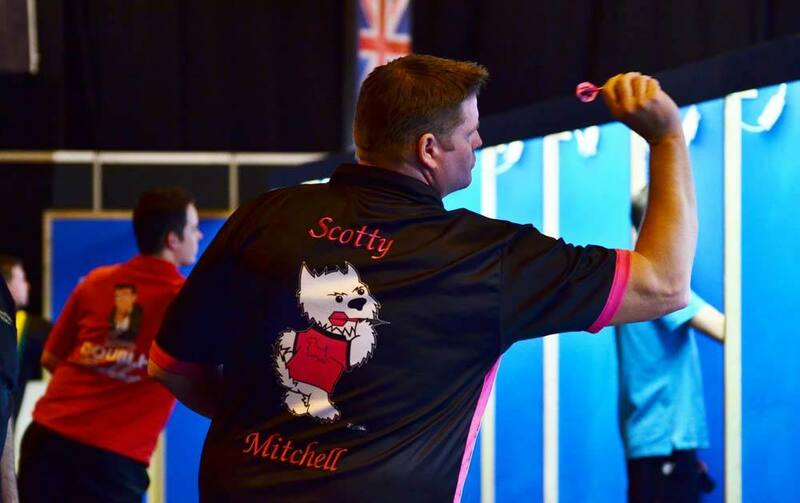 Chuffed as I did a 42 avg on a 701 leg. Drove to Leighton Buzzard to do another presentation night at Brooklands club, loads of trophy and handshaking. Contacted Dan Adams re a new website. Circus Tavern for an exhibition organised by Keith Deller. I played Terry Jenkins, lost 7-6. Then back home. Up and drove to Prestatyn for the Welsh Open, picked Gary Stafford up on way. Lost to Mick Savvery in last 32 4-2. Tb cattle testing at the farm. Re test tb cows to see if there was a reaction. BBC Radio 4 Farming Today programme came to interview us while this was being done. Presentation at Bournemouth's oldest ladies league also believed to be the oldest in the country. Exhibition at the Old Bell in Warminster. 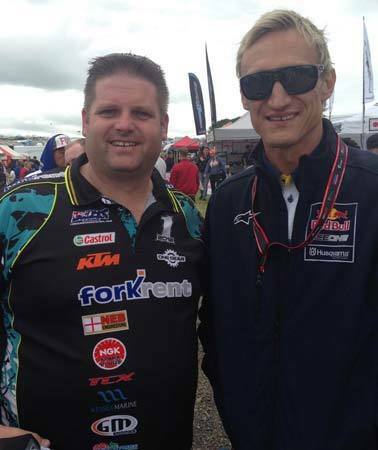 I was a guest at British Motocross GP in Matterly Basin in Winchester. Was invited to Harry Redknapp's celebrity golf day at the Remedy Oak golf course. Was a guest of Sunrise Service and MOT Centre at Poole Speedway in VIP area. Went onto the centre green for the last race and helped pick rider of the night award. 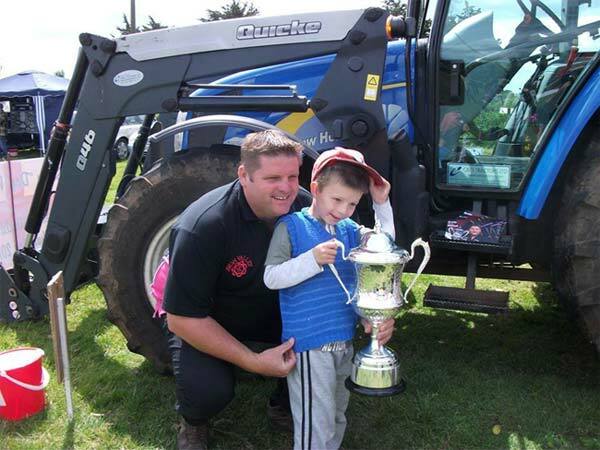 Avon Valley young farmers tractor rally with Sam. 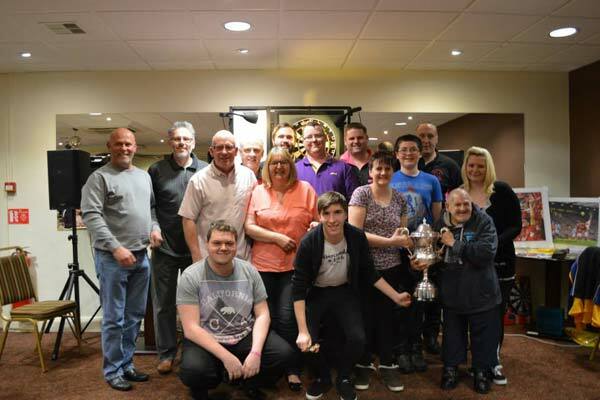 Took our tractor and the trophy, also set up a nine dart comp for charity. Katie's first County B game, so after setting the tractor ready, Shaz and I headed to Branksome Con Club to watch Katie in what was to be her first win on the senior stage. Then back to the tractor rally where they had raised £1500 for help the heroes. 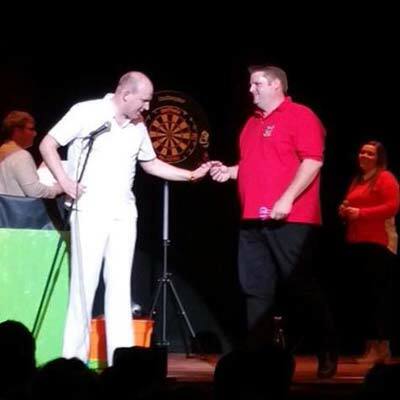 My turn on the county stage again and I won 4-0.